When I had the idea to write you this letter, I was worried that I was going to fill it with talk of epilepsy and how hard things are for you instead of words that celebrate how far you’ve come in your journey. 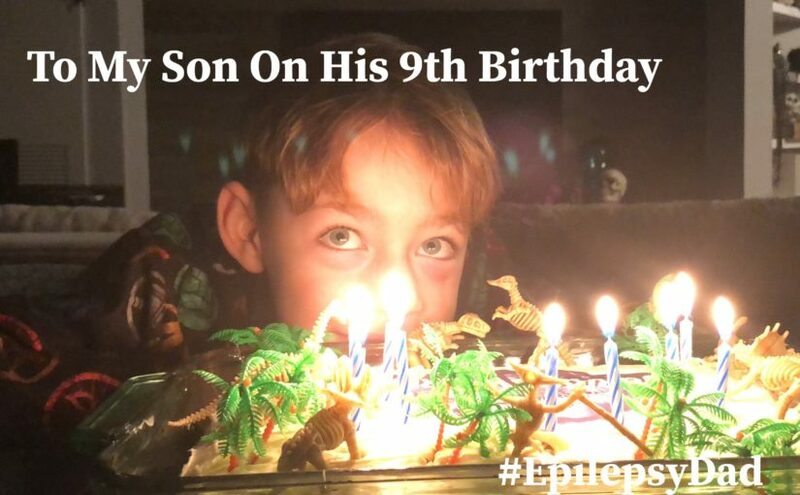 Because even though it defines so much of our day-to-day, you are so much more than epilepsy. I want to celebrate how brave you are and how having you has changed me into a better man and a better father. The world looked very different for me when I was your age. Grandpa wasn’t around yet, so it was just me, Grandma, and your aunt who passed away a few years ago. Things were hard and I learned to do things for myself but I felt very much alone. I carried that with me through my entire life until we had you. The idea of you having to go through life alone filled me with an unbearable sadness that caused me to finally see that there was a different way. And you continue to show me the way. I used to think that I had to model every behavior I wanted to instill in you but, many times, it’s the other way around. I’m so proud of how hard you work and how much joy you bring to the people around you and I want to do the same. I love how, in spite of everything, you remain funny and curious, and so alive. It puts my own struggles into perspective and helps me be present and enjoy my life even when times are tough. And you have a way of making me and the people around you know they are special to you, which is something I have rarely done but am inspired to change. The biggest lesson you taught me is to stop letting my own baggage twist the amazing, creative, loving person you are becoming. The beauty of it all is that you didn’t have to do anything other than be yourself. The worst mistake I could ever make would be to help you build the same walls that I did. Instead, you are helping me take mine down. I don’t know how to receive that gift, but I’m trying. Nine years ago, you changed my life forever and you continue to do so every day. I hope your next trip around the sun brings peace and joy and more amazing experiences. But whatever lies ahead, I am luckily, gratefully here with you. Really here, thanks to you.